The Society’s lectures are held in The Trinity Centre, Church Street, Ossett, WF5 9DW (next to Holy Trinity Church) and start at 7.30 p.m. The Society meets on the last Monday of the month from September to April. David Scrimgeour: The Evolution of Asylum Patient Photography. From 1868 residents at the West Riding Pauper Lunatic Asylum were photographed. What motivated this method of recording, how did it change and what legacy remains today? Every region of England had its own dialect and Yorkshire, the country’s largest county, had a particularly rich and varied tradition of dialect which changed over time. Alan Howe and Steve Wilson: Ossett War Memorial. Ossett was one of the last towns in West Yorkshire to erect a memorial after the Great War and to commemorate its 90th anniversary the names of the fallen are now being added to the monument. 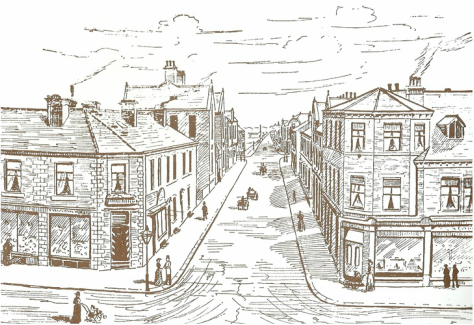 More than thirty pubs once competed for custom in Ossett and provided meeting places for a variety of clubs and societies. Clive McManus: Christopher Saxton, Elizabethan Mapmaker. Christopher Saxton was probably born at Sowood in Ossett and became the leading English mapmaker of his day producing the first set of English county maps. Lesley Taylor: A Wakefield Dancing Master. Eighteenth century Wakefield aspired to be a centre of a polite and commercial society and the ability to dance was essential for all young gentlemen and gentlewomen.